Over the next few weeks I will be starting a series about one of my most favorite things on the planet... coffee. I love coffee, but I've never been the super hipster gal that knows all the lingo and what to order. However I have a few friends who I almost seem to offend when I talk about coffee. They are coffee aficionados and the perfect coffee snobs. I love them, but let's be honest I kind of envy them. I mean what coffee lover doesn't want to find a way to get the perfect cup every time? But how can you possibly order or make the perfect cup of coffee when you don't know the lingo? That's what this series is all about! 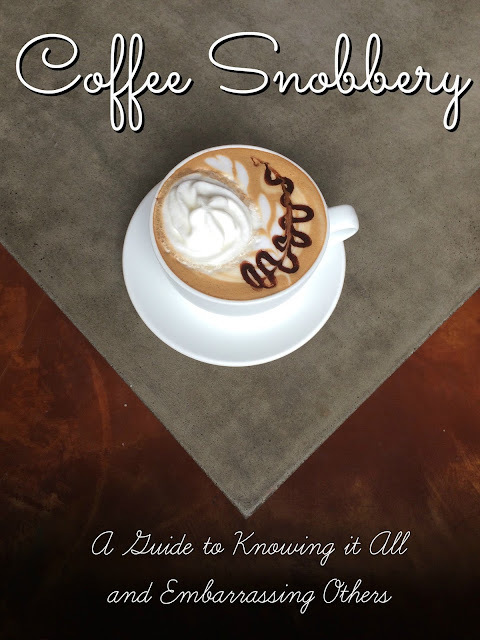 I'll teach you the basics of coffee snobbery so that you can stop offending the coffee gurus and start soaking up the deliciousness. I'll be posting every Monday for the next 6 weeks so that you can become a pro.